CHA's Mark 50 System is specifically designed for flexibility and long term reliability in high production semiconductor metalization environments. The Nordiko 2000, 2550 and 8550 Sputtering Systems offer the highest degree of process flexibility in the industry. CPA offers a complete line of new and refurbished sputtering systems. What ever your needs are in today's industry, CPA will see you into the future. We can custom build your machine to meet your specifications, with the quality and dependability you require for your fabrication facilities. The Model 9900 is a single-sided sputtering system designed primarily for applications where only one side of a substrate requires processing, sputter down" only process. 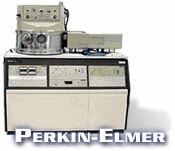 The CVC system has been designed with maximum thin film sputtering process flexibility as major objective . . . for the research and development scientist or production process engineers, the CVC is an ideal tool for dependable cost effective operation. The Perkin-Elmer of RF Plasma systems for sputtering and etching reflect an advanced design concept based on a high capacity load lock that permits wafer loading without breaking vacuum in the process chamber. The Varian system sets the pace for state-of-the-art wafer sputtering. Check out our complete line of Varian systems right here.